Whatever your reason for ditching Facebook, you should know it’s a relatively easy thing to do. There are two ways to quit—one that’s reversible in case you change your mind, and the other permanent, for those who are certain they want out. 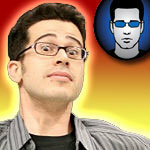 Chris Pirillo: Can Google+ Beat Facebook? 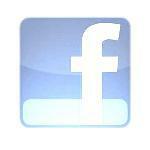 Can Google+ beat Facebook? That’s the question I’ve been asked again and again as early adopters are beginning to understand what Google+ has to offer its users. A full analysis of its potential won’t be possible for some time, as features are just not beginning to really take form and bugs are being worked out. In order to “beat” Facebook, Google+ would have to have a larger user base using it as their primary social network. That’s a tall order, considering Facebook’s 750 million users. The fact is, Google+ has the potential of “beating” Facebook, if they concentrate on a few key points moving forward.